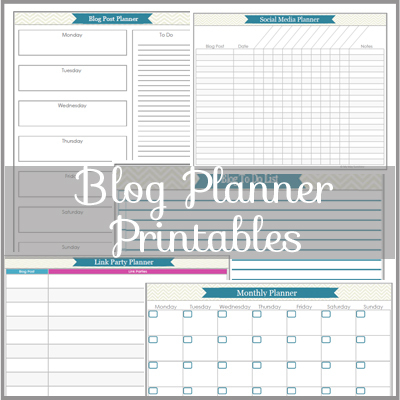 In the first part of the blog planner printables, I showed you the social media planner, link party planner and the blog stats tracker and today I have more printables to plan and record your blog posts. The first planner is a monthly planner which enables you to record your blog posts, scheduling them etc. The second helps you plan your blog posts and ideas, to dos for the week. The last printable today is help you plan your blog posts, allowing you to record key info for each blog post and the status of the post. I have definitely been trying to put these into use as I truly want to be more organised with my blog posts and my time. There are more printables coming on Monday and they will help you to keep track of ideas and improvements for your blog.